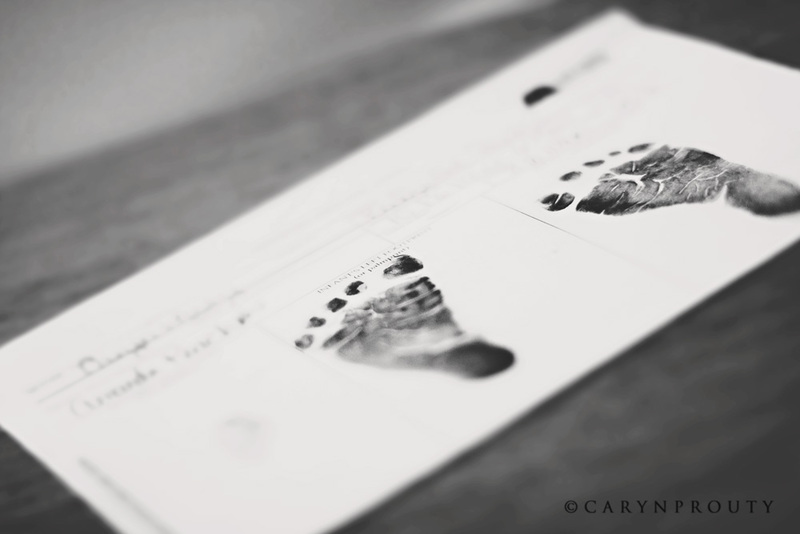 I had my last prenatal visit on October 2, 2012 and I was beginning to worry. I was pretty surprised to have made it to my due date to begin with because I had been 75% effaced and 1 cm dilated for about 5 weeks. 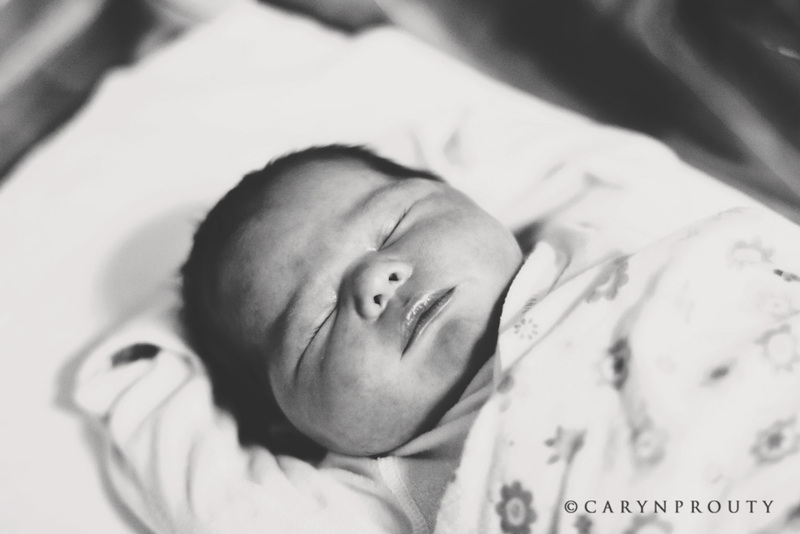 October 2nd was the due date of our long-awaited baby and the doctor was beginning to talk about induction. He said that if I made it to the next week’s appointment we would go ahead and schedule the induction for sometime the following week. I was really dreading an induction… my birth plan was to keep it natural. I had heard a lot of horror stories about inductions and it was a road I didn’t want to travel down. 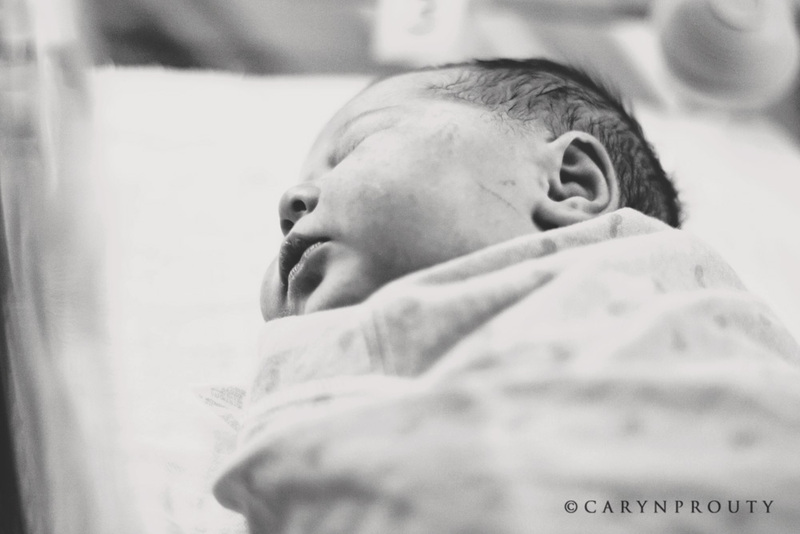 I wanted to wait to go into labor on my own, and I wanted minimal pain control when it happened. So… I set out to try to induce labor naturally. Now, I realized that it would happen when it was meant to happen but I wanted to have some fun while waiting. First thing I tried was a pedicure. My friend Tracy had got me a gift certificate for a pedicure in my “Mommy Basket” she put together for my baby shower. I shot her a text and we met up and went for a pedicure. Not only did it feel great to have my feet massaged, supposedly it is supposed to help induce labor because of pressure points located near your ankles and on the inside of your lower legs. Even though it didn’t work, it was still worth it. Other things I tried were walking, hiking, going for truck rides on bumpy roads, 4-wheeler riding and spicy foods. At one point I was eating canned jalapeños straight out of the jar! All to no avail. By this time I had convinced myself to just relax and enjoy the last few days of my pregnancy. After all, it may be my only pregnancy due to the trouble we had conceiving. (It took three and a half years and two in-vitro fertilization rounds)! And I wasn’t totally uncomfortable; I was still sleeping pretty well (besides the many bathroom breaks) but had pretty swollen feet and legs. Other than that I had a nagging pain in my right ribs and that was about it. October 5th was a Friday and my parents were coming over to have dinner and watch come college pigskin. While I was waiting for them to get here I wanted to have some fun and hey, if it threw me into labor I wouldn’t complain! I happen to be a huge Michael Jackson fan and I have The Michael Jackson Experience for the wii which is a dance game. I re-arranged our living room and popped it in and danced the night away. When my parents walked in, my mom had the biggest grin on her face and couldn’t believe that I was actually dancing…. 40 weeks pregnant, huge belly and all. After that we had some delicious chicken wing pizza from my favorite pizzeria and enjoyed some Orange football (Syracuse that is). Why is this story relevant? Because at 1:42 am that night I was laying in bed and my water broke. I woke my husband up and he thought I was kidding but downstairs I went headed for the shower. By 2 am I was having contractions every 3 minutes. I won’t write every detail about my labor and delivery because I’d be here for awhile so here’s the condensed version. We headed straight for the hospital, thankful that it was just down the road. When I arrived I was 3-4 cm and 100% effaced. The contractions were pretty intense and came out of nowhere. I needed a hand to squeeze at all times. My whole birth plan pretty much went out the window and I think the reason for that was how fast things were moving. I couldn’t get out of bed because every time I got a break from the contractions I would try to move but couldn’t. They were coming about every minute and during the breaks I would shake uncontrollably because of the pain. I’m proud to say I never screamed once! By the time the doctor came around 4 am, I was ready for an epidural thinking I still had a good 10 hours of labor left. 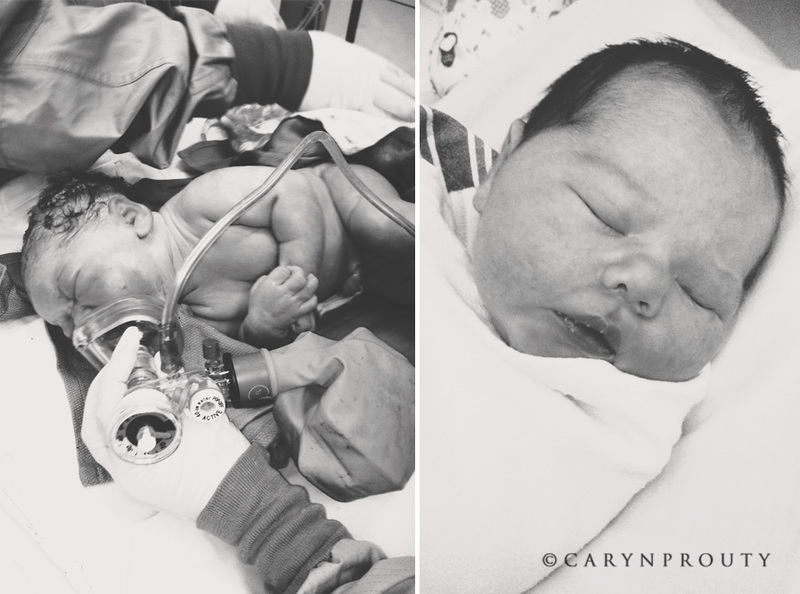 But there was no epidural in my future… I was 9 cm dilated, 100% effaced. Wow. Just. Wow. The next 3 hours were a complete blur for me. I knew something was wrong when the doc had to talk to Josh outside of my room. They called in the surgical team and I was rushed away for an emergency cesarean section. Our daughter was born on October 6, 2012 at 6:44 am. She weighed 8 pounds 11.5 ounces and was 20.5 inches long. I got to kiss her before they whisked her away to the nursery. She was completely healthy. 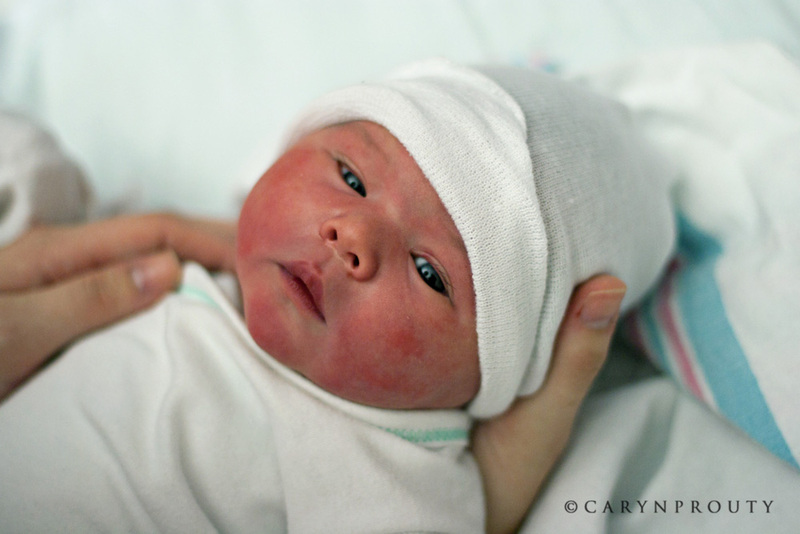 I learned later the reason for the hasty c-section- she wasn’t in a position that would allow for a natural delivery. Instead of presenting with the top of her head, she was coming chin first. So her neck was hyperflexed and the back of her head was touching her back. Had I have tried to push her out, her neck could have broken. On top of this, the real reason for concern was the 60% chance that she could be missing a part of her skull. When babies present in the way that she did, the thought is they can’t present normally (with the top of their head) because it’s not hard enough. So this is why they turn and come face first. We are so blessed and incredibly lucky she was normal because once these babies are born, they only live for about 24 hours. God was watching over her that day. After a 3 day/4 night stay at the hospital we were finally ready to head on home with our baby girl. She turns 3 months tomorrow and where has the time gone?! She needs to slooo o o o w down with the growing thing… But on a more serious note, now I know how my mother felt, and her mother when they looked into the eyes of their babies. It is an instant, overpowering emotion, one that will never go away but only get more intense as time goes on. And in the words of Dory, “I shall call her squishy and she shall be mine. And she shall be my squishy.” Goodnight everyone. P.S. Tomorrow look for a post of her newborn photoshoot!